The client needed a new website for a physical therapy clinic. 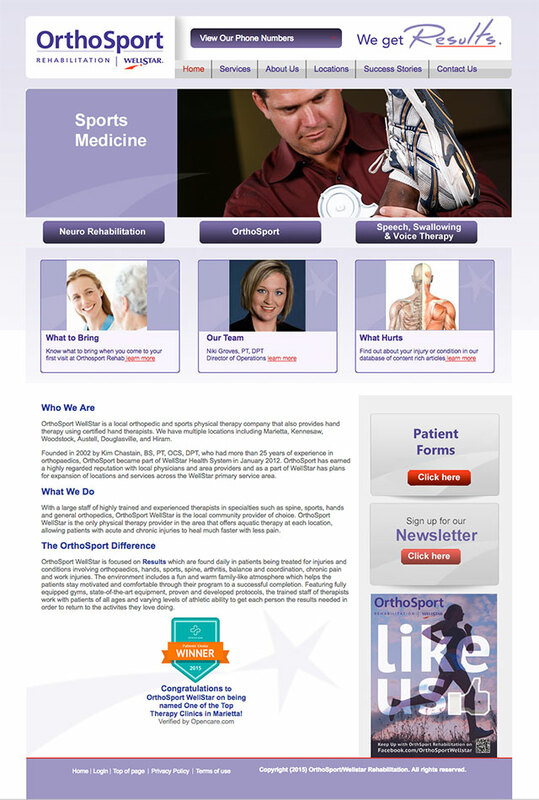 We designed a theme for their website that integrated with their WellStar brand. Features included rotating pictures, phone numbers on every page and social media links. The look and feel integrated Patient Sites’ educational menu.